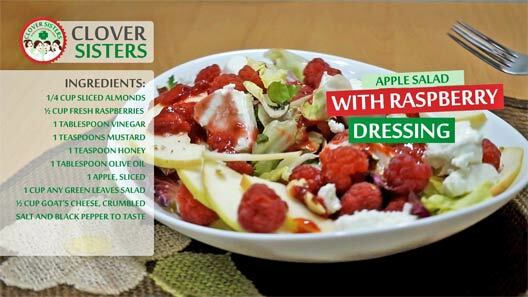 Vibrant summer colors and flavors, healthful and delicious, this apple salad with raspberry dressing agrees with light diet on hot summer days and nights. Mash half of the raspberries, add the vinegar, mustard and honey. Whisk to combine. Add the oil and whisk to combine. Taste and season to taste with the salt and pepper. 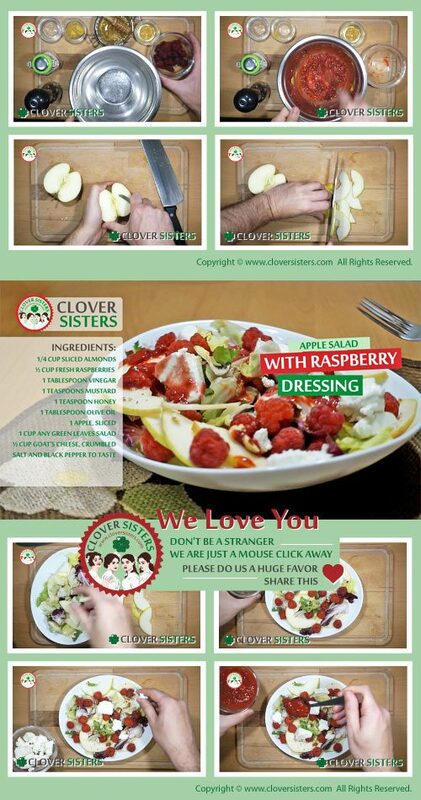 Arrange the apple, leaves and remaining raspberries on a large serving platter. Sprinkle with the almonds and feta cheese. Drizzle with the raspberry dressing.